In the past few months (give or take 6-7) I’ve been making ISK and spending ISK. Mostly on industry related things and fuel. Due to a certain program called jEvEAssets I can track how much I earned, how much items I have in my hangars, how much all of it is worth according to Jita etc. etc. This is great to make conclusions on how well or how bad you’re doing. Me, I’ve been doing badly according to this. Not because I’m making a loss, but more due to the fact that I’m not making a profit either. This is entirely my own fault and I know it. I only log in a few times a week to buy stuff and then don’t use them. I have Battleships both faction and normal ones lying around in hangars that I never even flown except for getting them to a certain system. My manufacturing, the exact same thing. Where I make a slight profit due to what I make. I “lose” it because of me having to fuel my POS. In general, I have been stuck on 30b since March-April. All of this, is mostly due to the fact that I don’t have an actual reason to log in more. Other than those 5 minutes I feel like doing it. And this in turn, can be traced back to the fact that I’m playing solo. In previous blogs I talked about searching for a corporation. But it’s not really working out too well. Also due to the fact that I don’t actually feel like logging in and searching for the right one. I’m just hoping that it will get thrown in my lap. I dislike solo playing. I started up another well-known MMO again because a friend of mine asked me to play it with him to start again on a new server. The only reason I did this is because he asked me to. It’s a shame he never got into EvE the way I did. I know for a fact that once I find a corporation, a bunch of people that aren’t too serious about themselves, I’ll have reasons to log into the game. And once that happens, I’ll see my capital go up again. I just need to find them first. It’s been ages since I last got blown up. And never before did something like this happen to me. 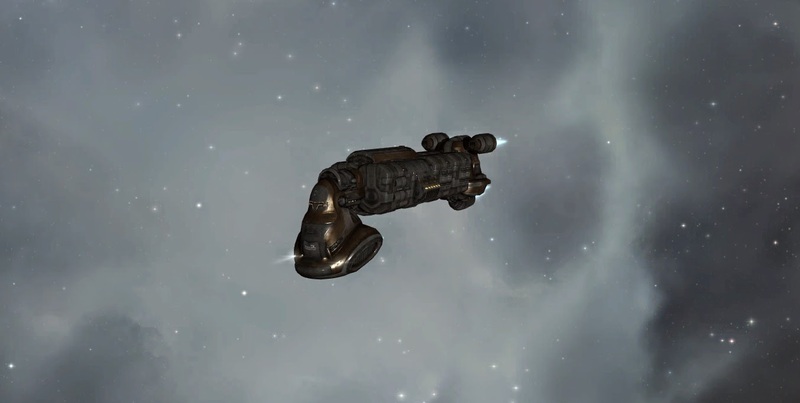 Today, I got blown up while moving a bunch of stuff to Jita in my manufacturing alt. I usually fly with my Blockade Runner (Viator), this is because it’s faster than flying an Iteron and I have a cloak. A cloak that I normally turn on, but didn’t this time. It’s only 4 jumps though, so you think: what’s the worst that can happen. Well today the worst that could happen is me flying around with about 500 T2’s in my cargo and having it shot out of the sky. According to the kill mail the total worth of this guy’s kill was about 700m, give or take a few. No big deal in itself, but I just really, really liked my little Roadrunner. I made it myself. Now I need to go and make a second one. Although it still stings a bit, seeing as I had decided to use that bunch of items to be the last for a few weeks. Now I need to start on it again. Lessons learnt, you’re never really safe when flying around. Most people know that, but when you haven’t had any kills or deaths for over 7 months, you get dulled into a sense of safety. I am a manufacturer, a producer of goods, goods that people need in order to do whatever it is they do. Not just any kind of goods either, I manufacture T2 items. A special branch of items that you in order to create them you need to spend time inventing them first. But what happens when you produce so many of them, that you have a stock so large that it is almost impossible to get rid of them quickly? What if you try and do this anyhow, knowing that it will flood the market. That’s right, you crash it, and your sale price will go down quite a bit. I currently have too large a stock of the items I produce to put them for sale. This is bad, seeing as right now all of those items are currently sitting in a hangar, being trickled onto the market bit by bit. And when things are just sitting there, they’re not making ISK, and when you’re not making ISK, you can’t put it back into your production cycle. Which means that right now, I’m producing nothing, other than a whole bunch of T2 BPC’s of the items I currently have an overstock of. As you probably figured out, that’s not the way it should be going. I have been creating these T2 items ever since I first started manufacturing, because I started doing this together with a friend who told me what to do when he still played. He has long since stopped playing EvE while I continued his little business. The production of these things has made me a bit of ISK, enough to have a pile lying around, just looking at me, and screaming ‘Use me! You need to!’ but I don’t really like seeing that number go down, which, as a manufacturer is a stupid thing. Spend money to make money and all of that. Maybe I should try something new, something that would need me to invest more ISK but get a bigger margin of it. Right now I invest 500k-1m to get a profit of 1m-3m.. That’s nice, especially seeing I make a few hundred of those items per day. But maybe I should start seeing things a bit… Bigger? But I might not be able to do that on my own..